I went to Vienna a couple of weeks back to see the big Eurovision pop choice circus in action (sorry I’ve been a bit slow in updating my blog). Armenian, Rumanian, Swedish, Latvian Polish, Spanish or, er Australian Europop? Which one to choose from this lot? This was a new experience for me, to see it in person rather than on the TV. I went for the first semi-final in the Stadthalle, with Jordan Guiao, @MaestroJ , SBS’s social media manager. Phone voting narrowed the field down from 16 to 10; including votes from the early-risers in Australia, who had to vote at 6am. The jury voting still feels a bit of an anachronism, with the jury members a secret in most countries. Not sure why they can’t be made public. I couldn’t tell if tactical voting played a part; I got the feeling that Sweden has found the right formula, and the presence of so many Swedes on the songwriting credits of the acts in the final seemed to bear this out. Here’s a good article giving you the lowdown on those successful Swedes. One thing I’d like to know what difference the Eurovision exposure does for an act’s sales – apart from the winner, I get the feeling that not much happens from one year to the next. 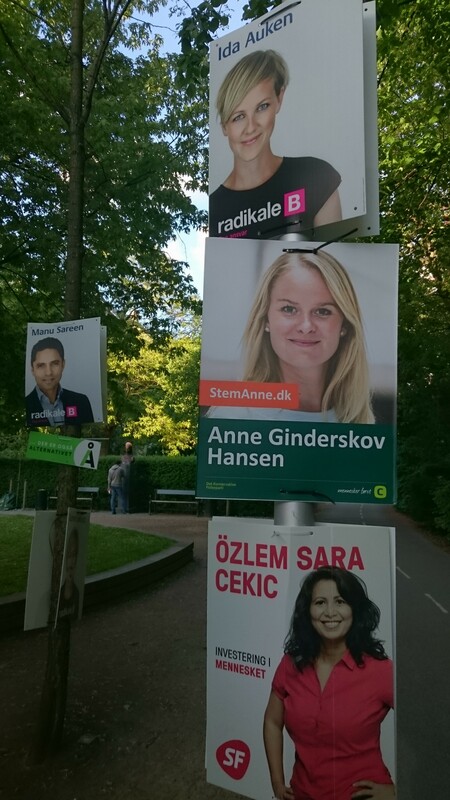 I’ve just come to the UK from Copenhagen, where a general election has been called for June 18th – giving barely three weeks campaigning time. 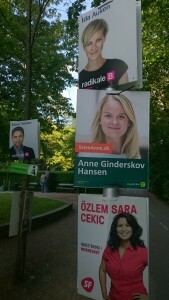 Overnight, posters of the candidates filled every lamppost and fence in Copenhagen. The politicians are a good looking (if very undiverse) bunch and they seemed to have all had their headshot taken by the same photographer. It has the disadvantage of making it look about the personalities rather than the policies. Elsewhere, the Turkish general election looks like bringing about a coalition government, which is good news. A friend of mine Basak is making a documentary over the election period, travelling by train West to East across Turkey – a fascinating time to taking the temperature of the nation. Today I’ve come to Sheffield for Doc Fest. It’s been on since the 5th June, but there’s still masses to see, and endless new possibilities because of the crowd it attracts. Looking forward to connecting up with people from all over the world, and welcoming incoming festival director Liz McIntyre to her new manor. There’s so much choice – films, debates, panels, masterclasses, parties. Plus you’re not allowed to multi-task in a cinema, meaning you have to choose and plan your days carefully. On the last day they give out awards, efficiently and charmingly hosted by Jeremy Hardy. I was a jury member the year before last, I don’t envy the job of this year’s juries. The awards I like best is the one voted for by the audience, who hand in little voting slips after every screening, and the Youth Jury – they’re the people we’re trying to entice to watch docs after all. As everybody tells us, viewers/users/consumers (choose your favourite description) in the younger age range are simply deciding not to watch TV anymore – choosing individual programmes to download, or just doing something more interesting instead. 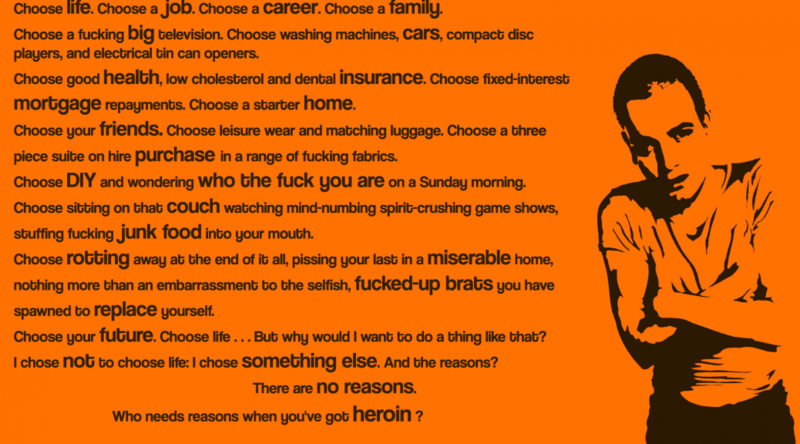 It makes the title, poster, log line and first two minutes of a TV programme or film more important than ever, and your eventual choice something of a lottery. But the amazing thing about online is that the films are there if you know what to look for. Newsweek did this good list of this year’s must-see documentaries. As in an election, choice has to be a good thing, but an awful lot of ‘content’ is going to be hidden and unloved if the curation and hosting by broadcasters is replaced by an algorithm. Which brings me to the future of my ex-employer the BBC. I’ll be following the debate on the future of the BBC which has kicked off in earnest following the UK election and the appointment of a new culture secretary John Whittingdale. He knows Auntie better than anybody at Westminster. Broadcast magazine has started a campaign of ‘qualified support’, and as you’re probably not a subscriber, the BBC’s in-house mag Ariel has done a swift summary here. There are legitimate questions to be asked about the future of public service broadcasting and the license fee, and I hope that the audience knows what it’s got and what its worth before it allows the BBC to be decimated for the sake of 49 pence a day. Lots for me to learn from for the future of SBS, which is going through its own period of reassessment as the cuts begin to bite. But Content is King, as we all know; and public broadcasters should know about that, right? Let’s hope so.